It has now been more than a week since we re-opened following Hurricane Sandy. Students, faculty and staff have plunged back into their work, with all the spirit and intensity that makes Cooper Union so vibrant. We can be proud of our community’s resilience, even as we remain concerned about those among us who live in areas still recovering from the devastation. Over and beyond the academic workload, members of our community have responded by launching a range of relief efforts including a benefit concert to which you are invited - organized by students and in which I hope to participate. Because of the need to make up for time lost in an already intensive curriculum, we have relaxed our planning timetable slightly. The faculty, who work tirelessly on their teaching and creative work, have also been developing proposals as part of the reinvention process. The date by which their reports are due has been extended to November 27. At the December meeting of the Board of Trustees, deans and faculty members will have the opportunity to present their ideas to the trustees, having already previewed them for the administration. A special meeting of the Board of Trustees will be scheduled for late January to decide on our course of action. 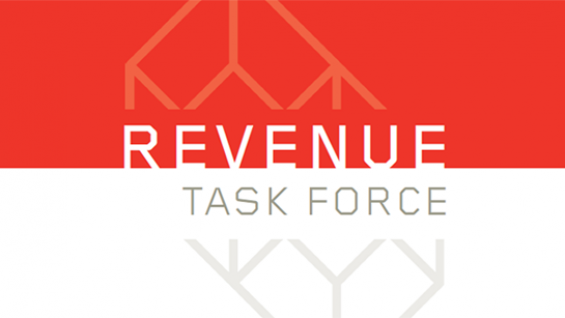 Meanwhile, I am pleased to share with you the final report of the Revenue Task Force. I want to thank the members of this group for their enormous investment of time and energy. The Revenue Task Force has grappled with a sobering financial reality while at the same time recognizing that in adversity there is opportunity. The work of this group, together with the work under way within the faculties of the schools, will provide a platform for decisions by the administration and the trustees. In the final analysis, what we seek is a future in which Cooper can thrive in a world of accelerating change and financial uncertainty – but most importantly, in a world of unbounded opportunity to innovate, to lead, and to leverage our creativity for the betterment of our city, our nation and our world.